The J-445 had a good run in Chicago. Two concerts in the hall, on tour of Russia and Italy and a recital at Ball State. 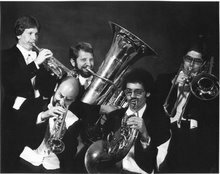 When I first went looking for a CC tuba in NYC in 1964 Walter Sear said "When the chips are down you go to the tuba you've played most of your life." 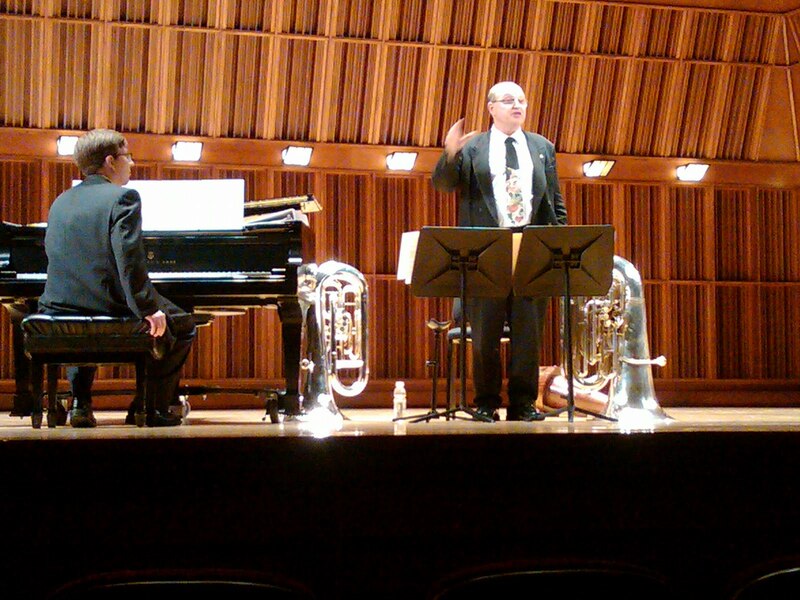 Gene announced he will be performing the Vaughn Williams tuba concerto on the York. If he's not going to use the J-445 I couldn't be happier that he'll play it on the York. The first time I heard Mr. Jacobs he was playing the VW with the Evanston Symphony. I was a little disappointed in what I heard after hearing about his huge sound. I later learned that he used a shallow cup mouthpiece trying to make the York sound like an F tuba. I sat in his basement and held a db meter while he tried tubas for a later performance. A bell front CC, the Besson F and the York. Again he settled on the York. When he finally recorded the VW with the CSO he chose the instrument for which it was originally written; a instrument with which he was not comfortable; an instrument in a key on which he rarely played. It is a great performance but not, alas, the legacy I felt he should have left. And so when Gene told me he was going to use the York, I could not help but think it was the right one. Here is Gene Pokorny talking about the upcoming performance: http://www.youtube.com/watch?v=xjMuDlcxGxs&feature=youtube_gdata_player ....I'm looking forward to it.